Flager County’s homeless population is significantly down, according to the latest point-in-time census. As of last January, there were 75 homeless individuals in Flagler, compared with 104 the previous year. Of those 74, 28 were sheltered, 47 were unsheltered. The lower numbers are part of a trend going back to 2011, when the homeless population in Flagler and Volusia counties peaked at 2,428. Since then, the two-county homeless population has declined every year, falling to 1,000 last year and 753 this year. In Flagler, the homeless were concentrated in Bunnell, along State Road 100, in Palm Coast off of Palm Coast Parkway, in the Hammock to some extent, and to a smaller extent in Flagler Beach. Bunnell had a total of 61 homeless, half unsheltered. Palm Coast had 11 and Flagler Beach three, all unsheltered. Carrie Baird of Flagler Cares, the multi-agency organization that’s taken a lead in analyzing and coordinating health and social services in Flagler, presented the numbers to a homelessness and housing task force meeting this afternoon at the Emergency Operations Center in Bunnell. 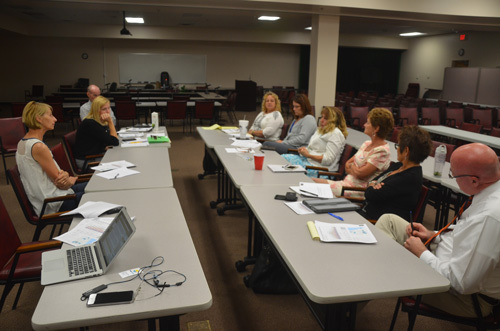 The task force included representatives from county government, the Volusia Flagler Coalition for the Homeless, the United Way, the Salvation Army and Lutheran Services Florida Health Services, which helps the poor and the uninsured. There’s been a sense in Flagler that homelessness has been on the increase, Baird said. That’s not the case. Not only the numbers show it, but so does the method through which the numbers were collected: “We had more volunteers this year than we ever had in the past,” Baird said of the annual census, which is conducted by volunteers actually spending 24 hours across Flagler and Volusia, literally counting the number of homeless people they come across. Some 80 volunteers participated in the two counties this year, up from 55 (among them law enforcement volunteers and Flagler County Commissioner Charlie Ericksen, who’s long been involved in homeless issues and volunteering efforts.) The count is required by the federal Housing and Urban Development Department. It’s conducted annually toward the end of January across 400 communities in the nation. The reason for the lower numbers: the economy has improved, the number of people losing their homes has diminished dramatically, Volusia County has added to its stock of low-income housing–Flagler County has a base of low-income housing but it hasn’t grown substantially, though the county is laying the groundwork to increase that stock–and specific programs are helping get the homeless off the streets. 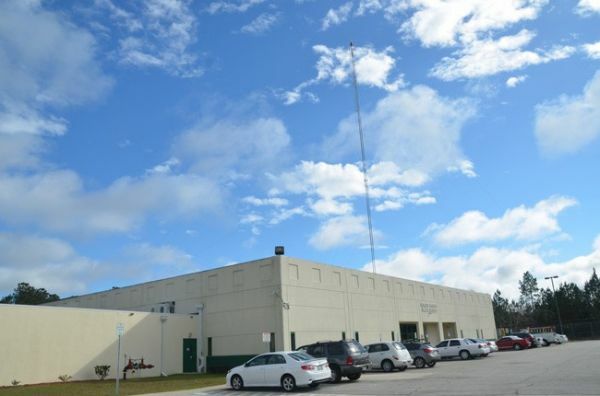 In Flagler, for example, county government’s community services division is working with the Sheltering Tree, the cold-weather shelter based at Bunnell’s First United Methodist Church, to help inmates at the county jail who would be homeless upon release situated before they leave the jail, either helping them to get into housing, a half-way house like Bunnell’s Open Door Ministries, or securing them transportation to let them go to the destination of their choice. On such apparent success was getting Wayne Perry a bus ticket to enable him to go back to Washington State. 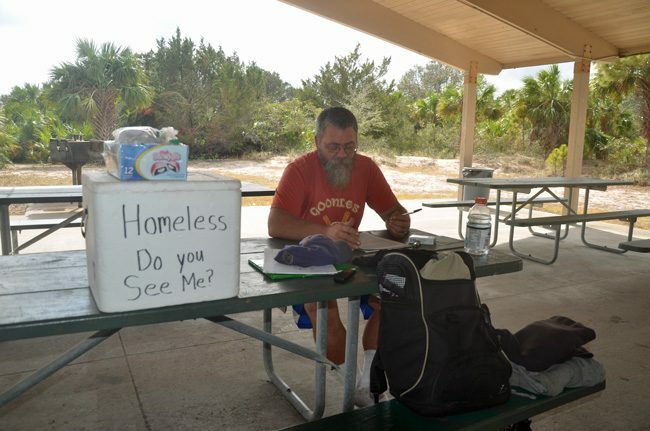 Perry had come to be the face of homelessness in Flagler through numerous appearances before local government boards, and a few controversies along the way: he’s had to be removed from the odd meeting, he’s been Baker Acted, and his status as a homeless man at a county park in Flagler Beach had flummoxed officials, who did not know what they could do with him other than to designate a slip of land where he could spend nights. Perry along the way refused a job the city’s police chief had lined up for him, and said in an interview he was not interested in holding a job. Yet he advocated for the homeless in every appearance before local government. The two-county efforts against homelessness have also shifted dollars away from transitional to permanent housing subsidies, shifting $750,000 since 2014 toward that approach, which helps find homes for families and defray some upfront costs. An increase in emergency funding for immediate housing assistance, such as state Emergency Services Grants, has also helped (with a $425,000 increase in those dollars in 2016-17). The Salvation Army helped close to 400 homeless veterans find homes. Of course, homelessness persists, as does a chronic issue: the lack of affordable rents. The flip side of the low number of homeless–which is essentially at a 10-year low–is that with so many working poor living paycheck-to-paycheck, any financial trauma (let alone another recession) would have dire consequences. That’s accurate, but the number of units is limited, and Baird noted that for the working poor who hold a job, subsidized housing is not necessarily an option. That’s where the problem has grown: people have jobs, but, as Janet Nickels, a program manager with Flagler County government’s division of human services put it, “now we’re seeing people who are employed but the cost of living has risen so significantly in rent and in food, so two basic things for a lot of our single parents, there’s no where you can go to make up that difference.” Affordable housing, she said, would be very helpful. “I loved her philosophy, this is not who I am, it just happened to be the circumstances she was in, I thought that was magnificent,” Nickels said. Today’s meeting of the task force was to go further and find out where the more serious needs are. The key, as always, is finding a way to place homeless individuals in housing they can afford–and keeping them there. But one reason there’s a lack of such broader efforts, or money, is a lack of organizations that can have “a real footprint in Flagler applying for money,” Baird said, that money will not materialize–and it won’t be put to use, subsidizing housing. The task force meets irregularly. It’s not clear what direction it will take next, though members don;t want it disbanded. “It is good practice to have this group meet regularly, because it incorporates Flagler very distinctly” into the coalition, one of the members said. A tentative meeting is set for September 5. The hope for Baird is to find an agency locally that would become the focus of efforts to stem homelessness–an agency that would write grants and find a “long-term path” to channel those grants locally, in Baird’s words. She frequently referred to the Sheltering Tree, but while that organization has been a workhorse in managing its scope of work (running the cold-weather shelter, organizing a weekly meal for the homeless, catering to their clothing and hygiene needs) it has not ventured into government grant-writing. “I’d be happy to help in my knowledge of non-profit management, grant-writing,” Baird said. This guy refused work? Send him back to Washington State- we don’t need bums like this around our beautiful city. Thanks Flagler Live for this informative article. Could you include contacts / links for us compassionate folks who would be willing to help our less fortunate citizens? I feel for the plight of the homeless; most of whom have drug problems or mental illness. My sister suffers from the latter and has been homeless off and on throughout her life. She finally had enough of living that way and got a job. It was a brave thing for her to do because if she can work, she loses her social security disability. She wasn’t quite sure if she could handle a job as she had lost jobs before due to her mental illness. But she took the gamble and she got work, when she was about 58 years old. She managed to buy a condo and paid for it in less than 10 years. It was extremely hard for her as her illness still was there and many times it controlled her behavior and her mouth and several times her job was in jeopardy. But she did it. She did it not because she was tired of living on the streets, but because she was tired of being on the dole and being a statistic. She wanted some pride before she died and she wanted a nice place of her own to live in. We need some sort of program to help the drug addicts to get off drugs–and jail is not it. But we cannot let them just be a drain on society, either. It is a hard problem with no easy solution. The homeless and the mentally ill have rights and no one can force them to live in a shelter or any kind of housing. nor can anyone force them to get help or force them to take their meds. My sister would have died before she would have moved into a shelter with all its rules and regulations. Living on the streets is freer and allowed her to be away from the restrictions of society. I am not sure if the man pictured in article is the same man who appeared at Steflik Park just after Hurricane Matthew but there was a man there that we spoke to several times in the past month. This man looks a lot like him. After the Hurricane my husband & I went to the park and on our own, cut and cleared debris and hauled out limbs. We were at it for a few weeks before the county was able to get in and do a proper job. The homeless man who lived there gave us a bunch of atta boys and compliments for our work, but he never got up off that picnic bench to come help us. He was on his computer there every time we saw him. He was had quite a “home” there for awhile. An electric heater for his tent, his laptop and a radio playing all plugged into the power at the pavilion. His tent was pitched under the roof for several months until he moved it into the woods. When people rented the pavilion for gatherings he had to leave it, but he stood outside of it with signs similar to the one shown in the picture. He had a hang-dog look and stared at the party goers and put a big damper on the birthday parties and picnics that happened there. We noticed he was missing and spoke about him with other park goers, wondering where he was. It sounds like it was “Thank God and Greyhound, he’s gone.” Off to be someone else’s insolvable problem. Move them in the NEW city hall,there is plenty of room and they can;t dirty the bathrooms any more than they are according to the previous article. The reason the homeless population has gone down is because the have passed away. No one cares about them. Sad but true. So typical of the times we live in. Here’s a “homeless person” who does not want a job, does not want any help to better his situation, obstructs all efforts to improve or to attempt to remedy a situation for himself and others. Sadly this is the end product of SOCIALISM. JUST CONTINUE TO GIVE THE HAND OUT AND REFUSE THE HAND UP. We don’t need low rent or shelters and lure all those from other counties. Then have a sign that says “Homeless, Do You See Me?”.. I would hold up a sign to Mr. Perry that says “Yep, I See You and I Don’t care.” If you don’t want to do anything to help yourself, why should others go out of their way to “See You”. Go online to FlaglerShelteringTree.com for links and info. I do have compassion for these unfortunate folks, but I think the Sheriff should do something about the ever growing tent city behind the County Library in Palm Coast. Certainly these tents and tarps do not meet the same zoning codes that the rest of the community must follow. They must also be trespassing on this property without permission. The Sheriff touts community policing yet allows this problem in our community. Part of community policing is partnering with other agencies and solving problems, this is a perfect opportunity for the Sheriff to show us his community policing abilities. Heartless. . . YUP! For every single mistake YOU have ever made . . . should you be permanently disowned from society? Oh. . . sorry. . . I forgot YOU are quite perfect. Dear Christians. . . what would Jesus say? What would Jesus do? palm coast==so bad even the homeless are leaving…. Sherry…. Jesus would teach them to fish. Not continue to hand them fish after fish. If they are not going to take any responsibility for themselves he would not keep providing them hand outs. Just handing them fish and keeping them under your control is the liberal way of doing things. It provides no benefit to anyone except make things worse. Yes there are those unfortunate ones who can not care for themselves. But if you can stand at an intersection all day holding a sign, you can mow a lawn, scrub floors, work at a shelter and help those who are helping others like you. Do something…. anything… not say that you have no interest in holding a job. Your hand out attitude is what put someone like Trump in office. @ Fredrick. . . ,. YOU DO NOT HAVE A CLUE! People who are not mentally healthy CANNOT just. . . what??? .. . . . . “get a job”. . . “pull themselves up by their their boot straps”. . . “stop being a drain on ME”. They are “mentally ill”. . . what part of that don’t you get?????? Your “darling” Reagan, when he was governor of CA, emptied out the mental hospitals in California and threw those sick people out into the street. Some COMPASSION for the SICK, eh???? Those that are mentally ill and those that are addicted are NOT pariahs!!!! They are NOT able to just wake up one morning and somehow “magically” be well enough to hold down that “JOB” that keeps being shoved down their throats . . . by completely ignorant, hateful folks who don’t give a DAMN about their fellow human beings!!!! That apparently includes YOU Frederick!!!! Shame on YOU!!!! I have helped and will continue to hep those less fortunate than me. However it’s never monetary. I will feed someone make sure they have water and get them clothing appropriate to the season if needed. I avoid cash because most of the time it goes to cigs booze or whatever else. I don’t have an expendable budget and just make ends meet myself. Nothing infuriates me more than what happened last week at the Wendy’s on Palm Coast Pkwy next to Dollar General. Later on I had to go to DG to get something for the house and noticed the pile of unsightly trashed left on the corner of Wendy’s Lot where they all sit and pan handle. Now note there are trash cans available yet they still disrespect the area. And btw I have seen some of these “homeless” panhandlers walk over to parking lots and get into cars better than mine. !! Dear Concerned Citizen. . . I am not a Christian myself. I am a Buddhist, but I certainly respect ALL positive religious teaching and values. From my perspective, millions upon millions of hearts and souls are moving away from the teachings of loving compassion and caring for their fellow “brothers and sisters”. . . for all human kind IS our FAMILY. I certainly agree that the less fortunate, disenfranchised, mentally ill, drug/alcohol addicted need much more than a “hand out” . Giving them a couple of bucks and shoving the across the county line (as some have advocated) isn’t going to help anyone. Our current “heartless” government is a reflection of our current, hate filled, voters. The funding to really help such people has been cut to the bone, in favor of the almighty “tax cuts”. . . which primarily benefit the already wealthy. We need more mental and drug treatment facilities. We need better “public” education and inexpensive universities. . . BUT . . . instead we are building more jails! Being uneducated or SICK with mental illness or addiction shouldn’t be s crime. . . BUT. . . that is how our current society is treating our fellow human beings. . . who desperately need our help. Frederick has said that Jesus would teach the homeless to fish. I respond by asking. . . if a homeless person catches a fish but has no stove, how is he fed? Even if a “poor” person has a stove, but has not been taught how to us it, how is he fed? If a “poor”, mentally ill person has a stove, and is shown ONCE how to use it. . . but, he cannot learn quickly, or even find the stove through his hell filled with demons, how is he fed? Throwing a JOB at a “homeless” person. . . and, then having contempt for them if they are too “mentally ill” or “addicted” to handle it shows that those who sit in almighty judgement have absolutely zero understanding or compassion for those who live every minute their lives in a tortured hell! I don’t have a negative judgement against those that suffer their mental illness or addiction. . . BUT. . . I most certainly do for those that HATE THEM FOR IT!!! Let’s think this through together. . . and then maybe some who comment with such painful contempt for others will being to understand the terrible plight of the homeless. 1. A “homeless” person is offered a very simple job. . . Great! 3. Are ya starting to get the picture here? 4. I can imagine that in their homeless encampments there are NO Garbage Pick Up services, and the nearest trash can is well over a mile away. They do not have the energy to walk a mile when their last meals was 2 days ago. 5. A homeless person sees a doctor and is given a prescription to help with his say “Clinical Depression”. . . Great. . . but he has no way to get to the pharmacy to get his pills. . . or he is too embarrassed to go in the shop because he smells too bad. Homeless people are most often not only homeless but friendless, as well. They need more than a JOB they are not prepared to do shoved down their throats. Often they need loving human care in the form of “in house” mental treatment and rehabilitation FIRST, and then they need continuous SHELTER and FOOD. Then they need job training and confidence building. . . BEFORE that JOB is offered. Hopefully some of you are starting to understand how our society has it all WRONG!!! We should begin to care for our mental ill/addicted/poor with compassion and loving kindness. THAT is what JESUS would do!! !